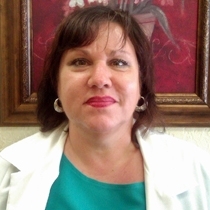 Dr. Serena Bordes is a licensed diplomate of acupuncture and the founder of Acucare, a small private clinic in Boca Raton that integrates acupuncture, homeopathic treatments, laser therapy and alternative health resources to treat patients from all walks of life. “My clinic attracts clients that seek healing, whether it be for superficial pain, menopausal symptoms, migraines or a general sense that something is ‘off,’” says Dr. Bordes. “When clients leave their treatment session, they truly feel that their highest needs have been met.” One of Dr. Bordes' longest running clients came to her several years ago suffering from multiple autoimmune disorders. To date, his condition has been put into remission and the symptoms are minimal to none. A typical session with Dr. Bordes begins with a discussion and assessment of the client’s concerns and goals for their healing process. Dr. Bordes will then map out their customized plan for therapy, which nearly always includes some form of acupuncture. She specializes in treating imbalance with medical qi gong, tissue mineral analysis and Pancea laser treatments using essential oil therapy for pain management and cell rejuvenation. Dr. Bordes attributes her success in the alternative wellness field to hard work, education and passion. "I am most proud of the fact that I relieve my patients from pain, illnesses and stress," she says.